This was the effort five years ago. That’s exactly what I was saying five years ago too. Shocking, right? At the time, I thought my picture (to the right) was a nice post for Halloween. I don’t feel the same way today. I simply cropped the picture from my first Halloween post. That’s not great. Stir-Up Saturday looks back on things. You could argue that my repurposed picture is the first draft of Stir-Up Saturday. I would disagree. Five years ago I was lazy. With Stir-Up Saturday I try and add a little bit of originality and perspective to something that happened on the site about five years ago. My 2010 Halloween shame led me to looking at some of my other Halloween posts. I cut myself some slack for my original 2009 post. I was learning. I think we can all agree 2010 was lazy. I really love the pumpkin and cutie from 2011. 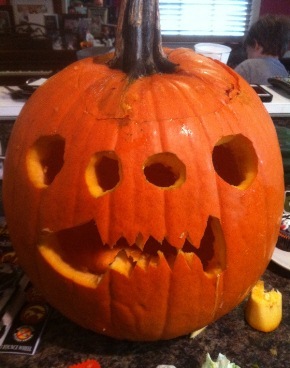 And 2012 repeated the 2011 formula – cute kids and a scary pumpkin. Then Halloween ended on UofM. 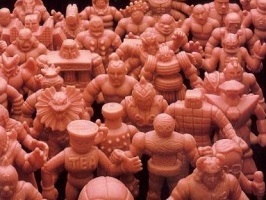 I would post a pumpkin from this year, but we are carving them today. 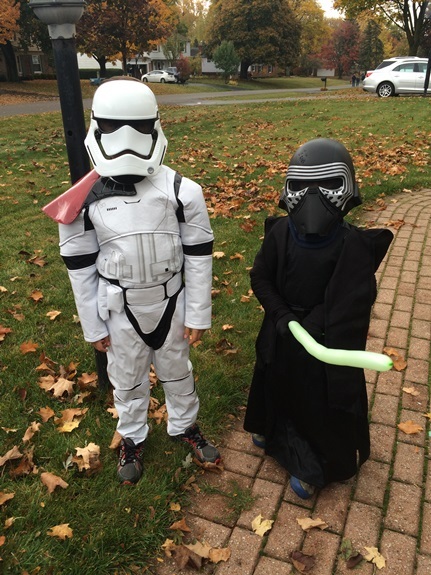 But there is no shortage of wearing our costumes (note the balloon lightsaber). Will I look back and be mad at this post five years from now? Probably not. I’ll just wish my kids could be little again. This entry was posted on Saturday, October 31st, 2015 and is filed under UofM News. You can follow any responses to this entry through RSS 2.0. You can skip to the end and leave a response. Pinging is currently not allowed.